Here today, gone tomorrow. 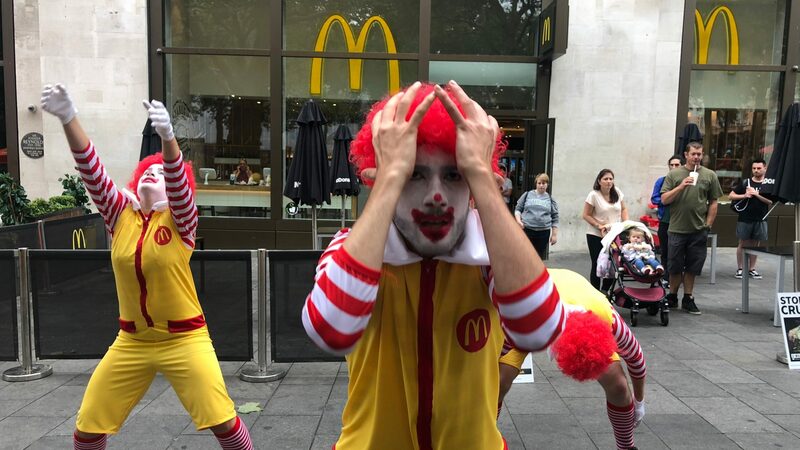 This is the fate of new product launches from the top fast food companies that didn’t meet with the public’s approval even after millions of dollars spent in advertising. The fast food is the USA’s biggest contribution to world cuisine. But although some of these bold culinary inventions attain mythical following among the globe’s masses, somehow, they still manage to become epic failures. So here, at last, are your definitive top 10 fast failures that you can consider either well-deserved or a major heartbreak for your culinary cravings. Snow or no snow, the Canadian market is definitely Krispy Kreme’s Achilles heel. That old fashioned, crispy, and heavenly sweet doughnut that literally melts in your mouth definitely caught fire everywhere it went. Unfortunately, not in Canada, and to be specific about it, not in the province of Ontario. 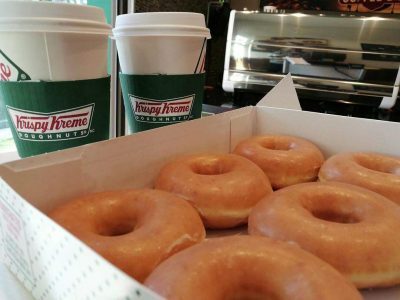 Here, Krispy Kreme was confident to open up stores way back in 2001 but it was confronted with a young population waking up to the dangers posed by having too much sugar in the diet. The stores quickly closed shop and sent Krispy Kreme crews packing their bags. By January 2005 according to CBC News, six of 18 Krispy Kreme stores had closed due to sagging demand. Of course, Canadian sweet tooth loyalists continue to play hardball. 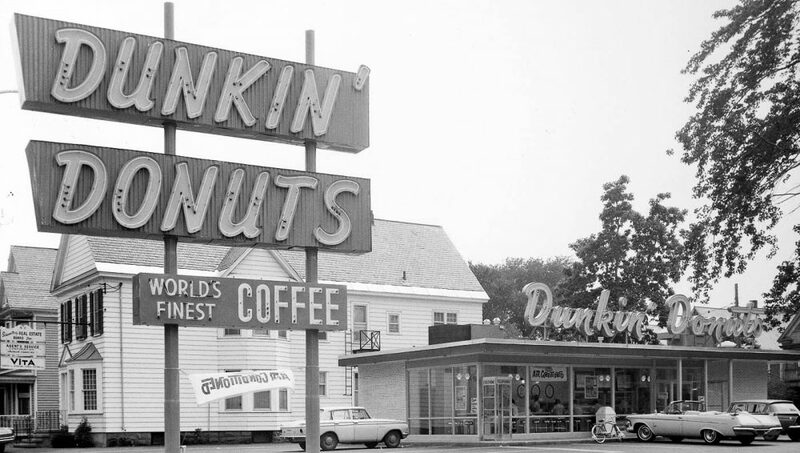 After all, many Canadians have been used to the Tim Hortons coffee double-double and the sinful doughnuts as well. However, all things considered, it was a losing battle. On April 15, 2005, Kremeko Inc., the company that brought the American legend north of the border had filed for bankruptcy protection. And it was a point of no return from there. The fact remains, anyone with a sugar craving in Canada can still order the doughnut that feels like sugar cotton to the mouth. The overall fascination for Krispy Kreme, however, would prove to be short-lived if not non-existent. The hard lesson is definitely a sobering message for America’s legendary fast food companies. As Sears, one of the USA’s dominant fashion retailers has learned, Canadian markets are a totally different animal. While you would think that something like the Krispy Kreme debacle can only happen on the European continent, consumer rejection can be so much closer to home for American fast food companies. Apparently, even giving away free doughnuts wasn’t enough to win customers. But maybe, just maybe, the practice of giving away a box of Krispy Kreme doughnuts to every crew member working a shift was a bad idea for the Canadian market? It’s also possible that things were done in haste such as entering the Canadian market without doing any thorough market study or research. But as the second biggest fast food failure of all time will show, even the most expensive marketing campaigns or market studies won’t save a fast food company. It all depends on how consumers react. And these days, there’s just no sure way of predicting how the wind blows. For those of you who were born yesterday, you’d think that McLobster, McSpaghetti, McPizza, McHotDog, McPizza, Arch Deluxe Burger, Mighty Wings, McLean Deluxe, McDonald’s Fajitas or even for that matter, the McDLT are nothing but urban legends. In truth, however, all these fast food inventions were once served on the dining tables or off the drive-throughs of the biggest fast food chain of America. Yes, Virginia, even McDonald’s can fail, and can do so in an epic fashion. No one is exempt from the failure syndrome and definitely not even if you spent close to a billion US dollars in market research or advertising. 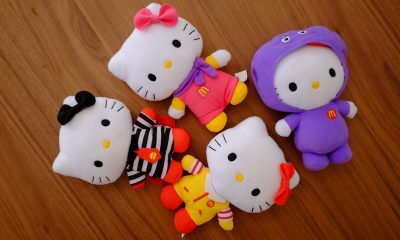 Consumer behavior is simply too hard to predict even with the most sophisticated or the most modern market barometers. So are you looking right now, with your eyes wide open, at the sheer number of Mickey D’s epic fails? Don’t blame the big yellow arch. Rather, praise it for the company’s bravery and tenacity against all odds. I still haven’t forgiven McDonald’s for making its cash cow–you guessed right–the Big Mac, looking dehydrated most of the time. The total number of the most famous fast food maker’s fails is simply incomparable. So now who’s obese? The American people, of course, who are evidently suffering from the worst kind of obesity epidemic unparalleled in human history. Still, it’s not fair to blame the fast food companies. After all, it’s not them biting the hook, you know. Not everything is a fail, though, as far as McLobster is concerned. 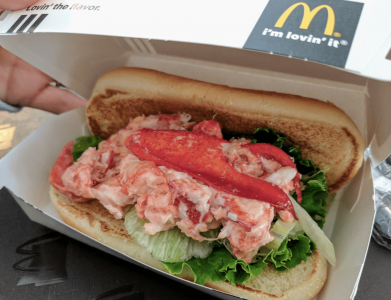 For instance, there are isolated reports that in Halifax, the lobster town of the Canadian Maritimes province, McLobster is still served during summer. This is understandable since seafood is one of the city’s top exports. So it’s only fitting for a sandwich overflowing with lobster chops to be offered whenever possible. Unfortunately, according to discriminating Halifax lobster eaters, they’d rather stay away from the McLobster because there’s no real lobster in there. The McDonald’s Hula Burger of the 1960s was an honest to goodness burger with nary a pattie but a generous slice of pineapple instead. 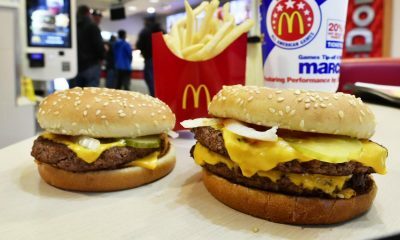 And according to Rebecca Felgate of YouTube fame, such fast food concoction was actually a big hit during Holy Week or for seniors on a restricted diet. 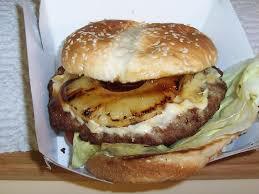 But the real controversy is whether or not the Hula Burger was really all fruit and no hamburger patty. It was introduced by Ray Croc to McDonald’s in the 1960s to American Catholics practicing Good Friday abstinence. And yet we’d seen some pictures of the burger sporting some beef patty at times. So the Hula Burger really isn’t as innocent as it seems! In fact, lots of people love to blame the fast food giant for sticking healthy meal choices here and there when it’s still widely responsible for fattening America and other vestiges of colonial mentality elsewhere. If this is sheer pretense or just being plain in denial, nobody knows for sure. But here’s the scoop. Introducing healthier meal alternatives for a fast food behemoth isn’t just hypocrisy. It’s a matter of survival in this day and age of rabid competition. To illustrate, had McDonald’s stopped innovating–it could have gone down by now. So thank you, Mickey D’s, for bringing McSalad Shakers into the world even when the idea became unpopular. It’s not rocket science to understand the wisdom of putting salad in transparent plastic cups. That makes it easy to add the sauce or sauces and to shake that salad, of course. But somehow, the concept just didn’t really take off. Still, thanks to the inventor for trying. Salads are definitely still hot, these days, if not getting hotter. Companies like Mad Radish and Sweetgreen are just getting started with starting a salad craze epidemic. So you can’t really count McDonald’s out of the game just yet. With a sea of experience tucked under its belt, this may not be the end of salad Mickey D style. Salad greens are definitely the holy grail of salvation from all the fast food addiction that’s brewing in all the continents of the world. Stay tuned for what’s coming up next in such an exciting arena. The best is yet to come. If three college friends can manage to stir up latent interest in the salad culture, surely it won’t be long before the next craze comes along in the greener pastures. It’s not a question of when–but which company is most likely to spearhead the next salad innovation. And it’s got to be cheap, healthy, and delicious–a kind of challenge that’s not really impossible to meet. For die-hard fans, the taste buds seem to be saying: It’s my tongue, and I’ll cry if I want to. Despite McDonald’s shelving early plans like the McSpaghetti, for instance, some quarters of society just cannot be prevented from still craving for what they secretly or not-so-secretly want. 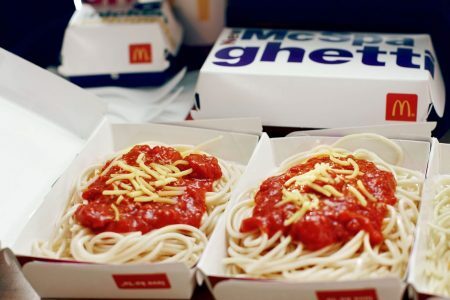 And so, in true Hunger Games fashion, the McSpaghetti, as Felgate reveals, is still served in the Philippines. In the land of more than 7,000 islands and around 104 million Filipinos, the taste buds just won’t be denied. And so, as of furtive 2016 sightings, the McSpaghetti is still very much around in these parts unknown–to borrow a term from the late CNN Superstar Anthony Bourdain. My heart also goes out to deep-fried Apple pie aficionados as it’s been replaced by the baked McDonald’s apple pies, of course–and for a long time now. However, nothing can stop you from putting the official and baked version in the deep frying pan if you want to. The only problem is, the finished product probably won’t have that iconic, bubbly complexion that the original version sported during its heyday–just saying. I’ll always sing an ode to the forlorn Fish McBites, which, according to my own taste buds are superior to Filet-O-Fish. That is even though both of them are made from the great Alaskan Pollock. And I think the reason it stays on in my deep consciousness is that with McBites as opposed to Filet-O-Fish, you get more fish servings than usual. And what about McSupersize? The idea has been abandoned since that Supersize Me documentary aired, forever putting a stop to the most convenient way to pig out when you’ve managed to starve yourself for a week or when you have a construction job in the morning. Hello, healthy eating. But sorry, sometimes, the tongue just knows what it wants. Kudos to Selena Gomez for bringing that up in a rather subliminal fashion. Oh the pop music, these days! Burger King, love it or hate it, is the next guiltiest player in the fast food rejects arena. Sorry for delving at length on McDonald’s–I just couldn’t help it, But just like beauty, taste is in the taste buds of the tongue owner. So the final arbiter is still you, or what appeals to your palate. Still, Burger King handily comes up on our list as the second biggest home of fast food failures. 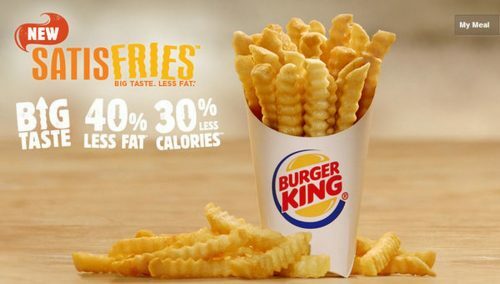 Just think Burger King Satisfries, BK A.1. Halloween Whopper, BK Dinner Baskets, BK Bacon Ice Cream Sundae, BK Shake ‘Em Up Fries, BK Cini-Minis–and you get the idea. Indeed, Burger King is almost as bodacious as the Big Yellow Arch. And that, folks, is when it comes to churning out bold moves to galvanize the teeming masses of hungry people around the world. Can you blame them? Traffic is just so bad these days in most parts of the world that nobody has time anymore to have a sit-down dinner without fiddling with their electronics. You get the idea. Someone just needs to take the cudgels for people with singular if not weird tastes or appetites. The fact is, no tongues are alike. In actuality, every tongue is as unique as a fingerprint. You can Google this all you like, but at the end of the day, even CSI will agree. Hope that settles the matter. 5. Taco Bell Zesty Chicken Border Bowl, TB Brownie Sandwich, Etc. Taco Bell is up next in the fast food rejects totem pole. What’s up with all these in-denial states? Sometimes, fast food companies just try too hard at being what they’re not. To illustrate, Mickey D’s tries to be health-conscious and ends up failing miserably at the task. But just like I said earlier, you just can’t fault anyone for trying. And that’s because you need to keep trying in order to succeed. Even Miss Universe contestants know this very well. Do you know that Miss Universe 2015 Pia Wurtzbach had to join the pageant four times before she eventually made it? This is a wake-up call for all trying hards out there. It’s the new secret of success. In fact, Miss Universe 2018 had to join the Miss World pageant before she finally earned her crown as the most beautiful woman in the universe. Come to think of that. And guess what, even Miss Universe contestants need to pig out on fast food if only to reward themselves every now and then for a job well done. Catriona Gray makes no qualms about food tripping in New York after handily earning the Miss Universe title. So you know what? There’s really no need to be too hard on yourself. Sometimes, you just need to give in to your cravings. Take it from Selena and all other natural beauties out there. And while we’re at it, let’s pay some respects, too, to geniuses like Karen Carpenter of The Carpenters fame. The singer died of anorexia nervosa on February 4, 1983. Although she was quite skinny, some people would say that she was fat during her time. This, of course, affected her so deeply. So the next time you criticize somebody about his or her weight, think again. You just can’t take back your words once uttered. 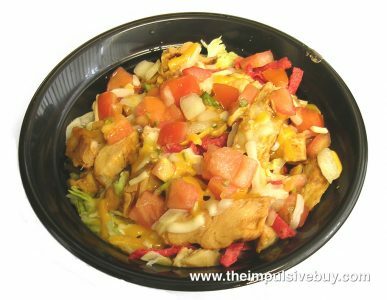 The Taco Bell Zesty Chicken Border Bowl was meant for all the salad lovers out there. Unfortunately, TB missed its target with some people finding the salad too expensive. Or maybe Taco Bell fans were really looking for the taco shell in this one? Not finding any, it was only a matter of time before they dropped the TB innovation like a hot potato. And what was going on with the Taco Bell Brownie Sandwich, wasn’t that an eye candy to begin with? Well, it was really sweet, what with the fudge cream frosting center. However, before you start thinking that what brought it down was more like the Krispy Kreme fiasco in Canada, there’s a lot more to the issue than meets the eye. You probably guessed right: it was the cost of making the product that just didn’t appeal to Taco Bell management. So out the door, TB Brownie Sandwich went. Taco Bell isn’t alone in the dessert flops arena; Burger King has guilty pleasures, too. 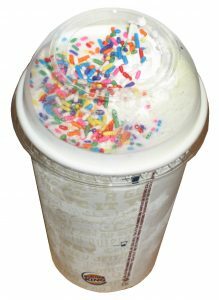 Just think BK Cupcake Sundae Shake, that one fast food dessert that tries to be everything all at once–even a drink, for that matter. Well, the fast food market doesn’t roll that way. Given, the egg nog craving has gone universal. But not even Tinkerbell can save this one. Proof: Adding whipped cream and sprinklers didn’t work like fairy dust. And it doesn’t get better from here; it gets worse. Just consider Burger King’s Bacon Ice Cream Sundae. The King definitely didn’t listen to the experts at Ben & Jerry’s when the battle-hardened ice scoopers there said that lacing ice cream with bacon or Buffalo chicken wings was a really bad idea. It’s like mixing an Oat Meal business with dog food. The so-called halo effect or spell is broken. In fact, it becomes irreparable from pure marketing or advertising point of view. The Burger King Cini-Minis failure is a lot easier to understand. Quite simply, Cinnabon came and invented a better mousetrap so-to-speak. In most cases, too much sugar was the culprit or the calories. And that’s as far as fast food desserts are concerned. For the most part, however, trying to be what you’re not was the biggest game changer. Companies that are in the fast food business shouldn’t have to be in denial or pretend to be what they’re not. The proof is in the pudding just as the next example will show. Too colorful, too soon? It’s definitely one overdressed Starbucks cool drink. However, it’s not really the overly colorful outfit that causes the trick to fail. For, as unicorn lovers would have it, the association with the mythical and non-existential animal was unwarranted. A unicorn stands for purity, and not for the Lady Gaga effect. In fact, there are isolated reports that Katy Perry spat out her first taste of the Starbucks Unicorn Frappuccino. 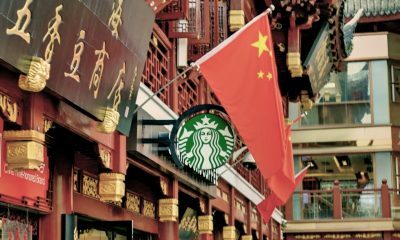 Apparently, not everything that glitters is gold for Starbucks. The beloved coffee company would have been forgiven had it not been for the reported awful taste of the drink. If you’re a Starbucks lover, you probably won’t like the Unicorn Frappucino next to your Iced Caramel Macchiato or even the Pink Drink. 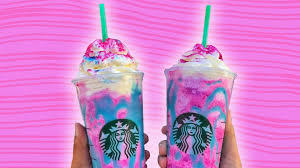 Had the Unicorn Frappucino not been banned from Starbucks, baristas in your favorite location would most likely be burying their heads like an ostrich if somebody came asking for the stopped cold drink. It earned such a bad reputation that Starbucks management just wants to bury the memory under the sand like it never happened, just as there are no real unicorns out there. Wendy’s, the fast food company that invented the square beef patty isn’t exactly immune to the fail syndrome either. 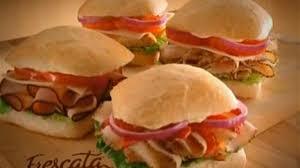 Caught in the act of the aping Subway syndrome, Wendy’s was quick to wash its hands of any Frescata or deli sandwich look-alikes. And not only that, Frescatas were also time-consuming to prepare. Acutely aware of how food preparation severely affects fast food profits, the firm also had to phase out the Wendy’s Superbar concept in the same way that McDonald’s had to get rid of the Supersize Menu quick. With Wendy’s Superbar around, customers spent way too much time customizing their meals. Had this persisted for a very long time, the fast food chain would have gone broke. 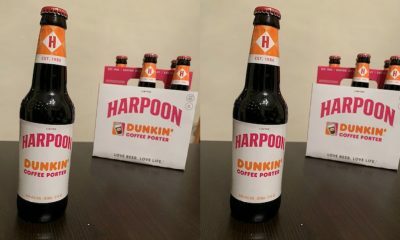 Luckily, someone on the inside had the stroke of genius to turn the company around after going out of its tried-and-tested ways for a long time. The moral of the story? Just what we have been saying all along. Don’t ape your neighbors. Be original and stick to your guns. Or, in the eternal words of Tom Peters, author of In Search of Excellence: “stick to the knitting.” There’s a reason why many people continue to patronize square patties for a very long time. 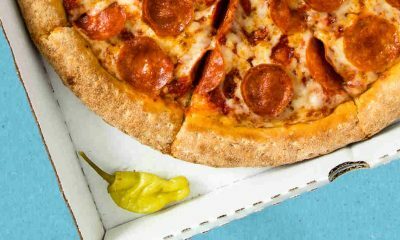 Caught in the act: Pizza Hut is also guilty of fast food failures. It seems that nobody’s ever immune to the disease, ever. Robert Redford be proud, there goes a pizza that’s been named after one of his movies. However, Pizza Hut’s The Natural didn’t really last very long. And neither did the self-styled and deep dish pizza of the company. 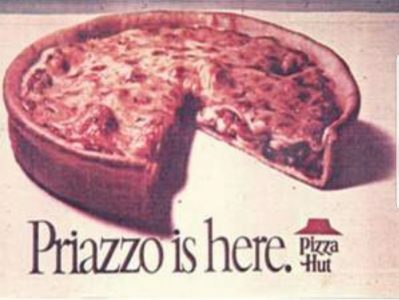 Rumors have it that the beloved Pizza Hut Priazzo with its thick skin and home-made goodness took 40 minutes or so to prepare. 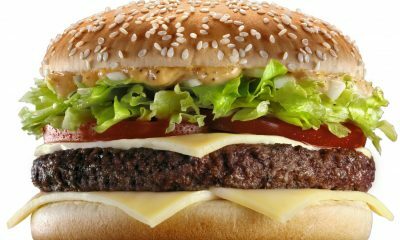 Consider this: how many burgers do you think McDonald’s, Wendy’s, Burger King or A&W can make in 40 minutes? There lies the rub. And here’s another quiz: how many fries can the fast food companies make in 11 minutes? 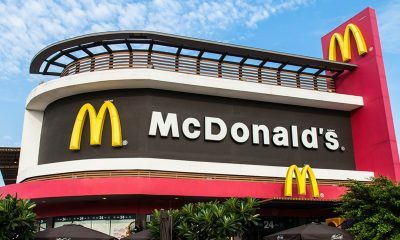 That’s the time it took–according to Mashed media– to make McPizza, Mickey D’s foray into the Pizza Hut business. Luck was on Pizza Hut’s side for that one: thank heavens! The bottom line is nobody in the fast food business can wash their hands of fast food sins. Everyone’s guilty, no matter how hard companies try to get rid of the grease or the trans fats from the French fries that most everyone in the business family churns out these days. Long gone are the days of the Burger King Satisfries or the Shake ‘Em Up Fries for that matter. 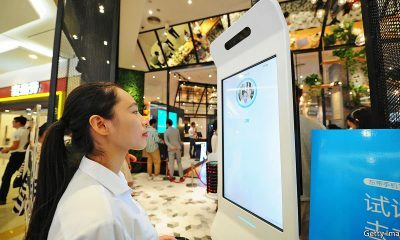 But sooner or later, some company is going to come up with something that sours the fast food experience for everybody. Else, it would be a delectable meal or dish that takes too long to prepare and one that takes away profits from the cash registers in an epic manner. And worse, leaves unforgettable memories and cravings in consumer minds and taste buds that will never, ever be quenched. Ouch! Well, that’s life for you, all fast food aficionados out there!